2011: Asian Division Reading Room, Library of Congress, Washington D.C.
Chang’s botanical landscapes and still lifes in Hawaii, Italy and China. 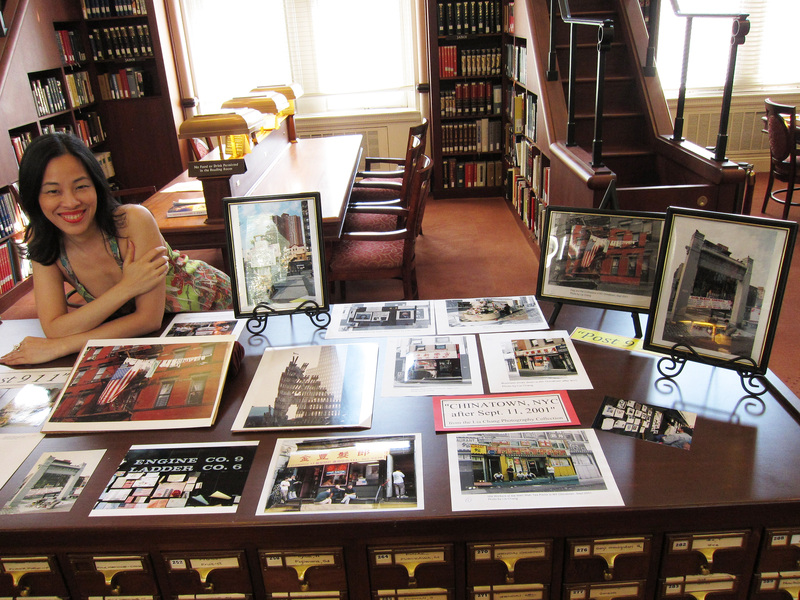 Chang’s documentary photographs during her travels in Italy, Paris, London and images of New York Chinatown post 9/11. This multi-component exhibition includes Notable Asian Americans who have broken boundaries and have carved unique paths to success in their specialized fields, as well as ordinary women and men of diverse Asian/Pacific ancestry, working in a variety of fields and occupations. 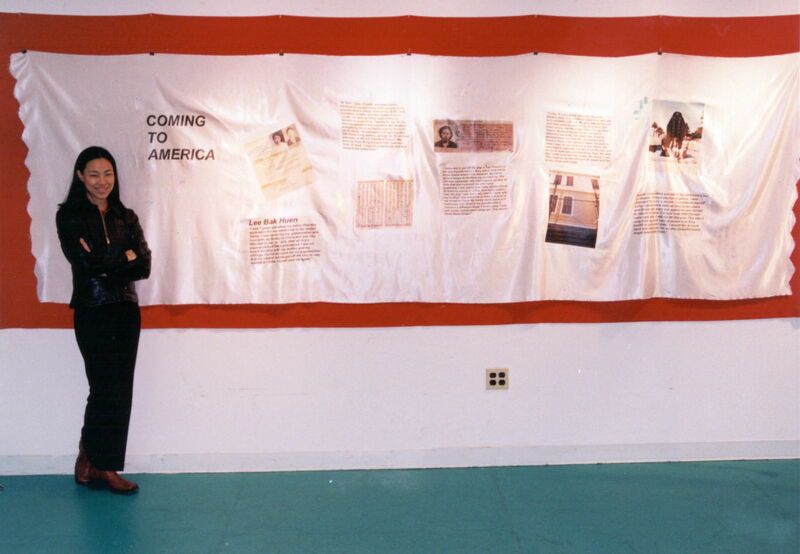 The third component of the exhibition is a fabric book art installation piece called “Coming to America” which details her grandmother’s experience of being detained at the Angel Island Immigration Station. The fourth component includes Chang’s fine arts images of dancers and her nature, food and travel images taken during her adventures in Paris, London, Italy, Seattle and Hawaii. NYC Health and Hospital Art Collection Corp. Artist Lia Chang with her Art Installation about her grandmother’s experience of the Angel Island Immigration Station. Seidel, Mitchell, “Actress and Model Lia Chang finds success behind the camera,” New Jersey Star Ledger, December 14, 2002. “Eye Openers: Asian Americans: At Home in the Galaxy,” The Las Vegas Review Journal, May 4, 2001. 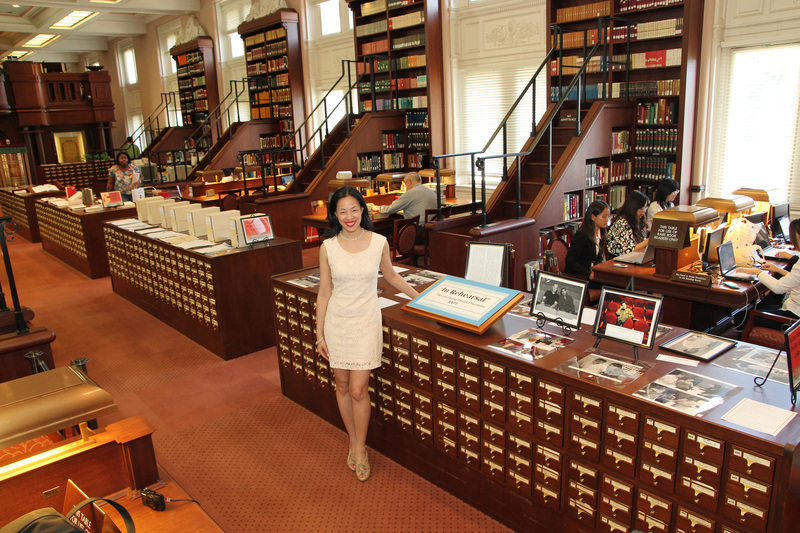 “Photojournalist’s Exhibit on ‘Asian Pacific Americans in the Workforce’ on Display: Lia Chang’s series is on view at four sites on the East Coast, including the U.S. Department of Justice,” Rafu Shimpo, May 18, 1996. ”Lia Chang’s Asian Pacific Americans in the Workforce Exhibition,” World Journal, April 30, 1996. Chong, Ping, “The East West Quartet,” Theatre Communications Group 2004, Ping Chong – 2004 – Performing Arts – 193 pages, Page 143: Muna Tseng, Page 157: Muna Tseng, … Page 163 and 169: Esther Chae, Page 180: CS Lee. 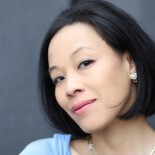 Madsen, Deborah L., Maxine Hong Kingston. Gale Study Guides to Great Literature: Literary Masterpieces, Vol. 9: The Woman Warrior and China Men, Detroit: Gale/Manly, 2001, p. 123. Maxine Hong Kingston at the opening of the Berkeley Repertory Theatre production of The Woman Warrior, 18 May 1994, p. 123. Carola, Robert, and Morreale, Ben, “Italian Americans: The Immigrant Experience,” HLLA 2000. Kwong, Peter, and Dusanka Miscevic, “Chinese Americans: The Immigrant Experience,” HLLA 2000. 1996- Asian Pacific Americans: Building America Through Diversity, poster for the Asian Pacific American Labor Alliance (APALA), AFL-CIO, incorporating 7 of the 18 images from her exhibit into a 17″x22″ poster.